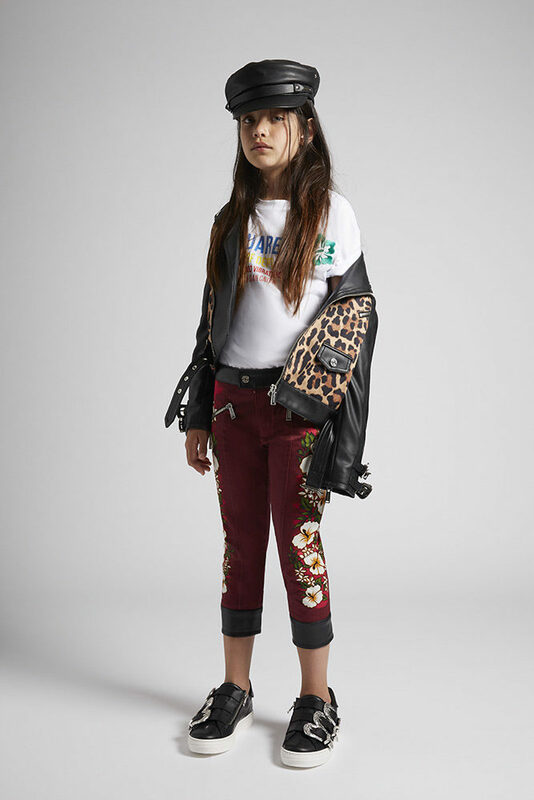 The scouts of Dsquared2 kid’s Spring Summer 2019 are putting their own spin on the youth organisation. 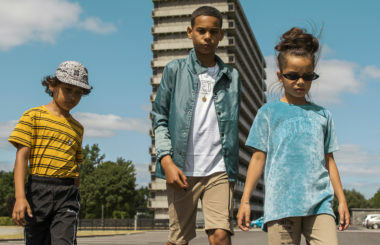 Dsquared2 take their scout style from the woods to the city! They are the first to pitch their tents, they tell the scariest ghost stories around the campfire after earning the most activity badges. 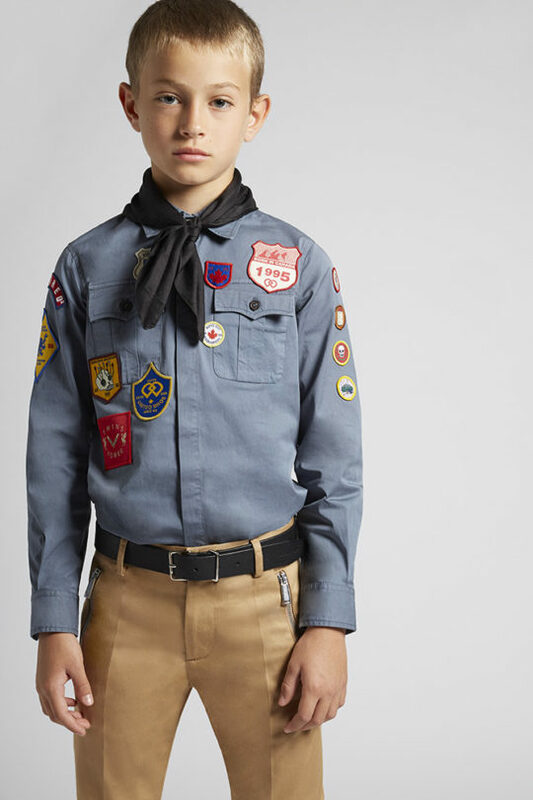 Scout cool, think flaming skull n’bones badges, part preppy and part rock, 50’s vibe. 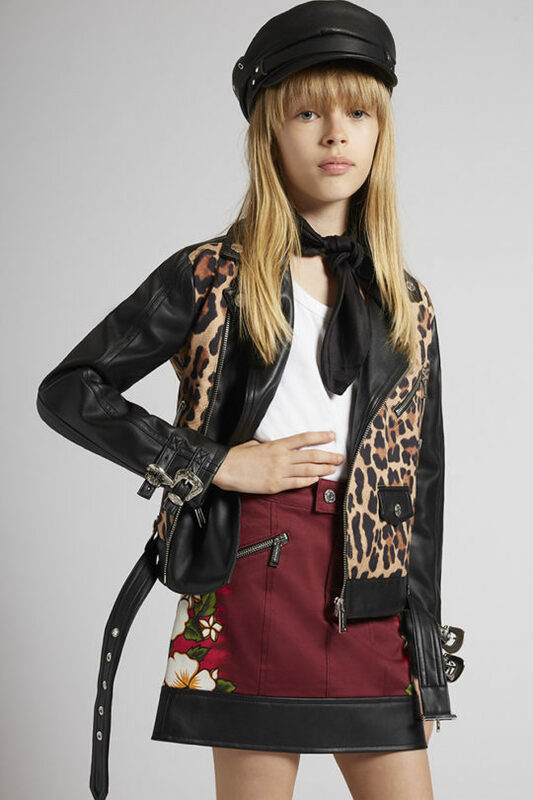 The prints and patterns are retro with zebra stripes and leopard spots appearing on statement jackets. 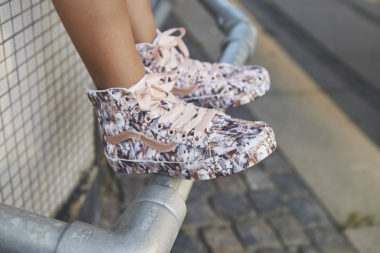 A touch of hibiscus flower print can be found down the leg of a sporty cropped pant. Though these scouts are no wall flowers. 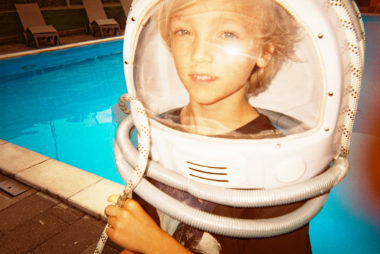 The collection ranges from girls, boys and babies to swimwear and matching towels. The collection comes in all ages and is equipped for anything.